This old t-shirt, bought at the Albany Empire around 1980, is one of my prize possessions. Every weekend we were either at the Albany, the Tramshed, The Duke, or the Royal Albert. Sometimes all of them, and there was always a party afterwards at somebody’s house or flat, with the musicians and actors turning-up and rocking-on. There’s a very good book about this period, “Rock Around Lewisham” by local author and musician Mel Wright, I recommend it. The old Albany Empire was in Creek Road near Albury Street, and famous for Rock Against Racism concerts, sadly in 1978 it burnt down and after a brief revival it was demolished to make way for a wider road. The Albany rose again in Douglas Way and we all joined (you joined in those days) because the acts and the atmosphere were really electric, everybody from the Flying Pickets to Bo Diddley, via Pookiesnackenburger and Billy Connelly. 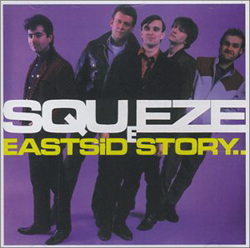 Squeeze were the dominant band, somehow more authentic than the equally ginormous Dire Straits. I seem to remember Dire Straits supporting Squeeze at the old Albany, but I might be wrong. Deptford was really buzzing: Bowie and the Spiders From Mars were rehearsing Ziggy Stardust in Underhill Studios (now Gee-Pharm chemists) at the bottom of Blackheath Hill, with Lou Reed and Iggy Pop in attendance; John Cale of the Velvet Underground was here producing Squeeze, Mark Perry’s ‘Sniffin’ Glue‘ was being edited from a flat on the Crossfields Estate, and local band Rubber Johnny, led by John Turner were filling the gap between the opening act and the headliners at the Royal Albert. Soon they became so popular they were headlining their own gigs. 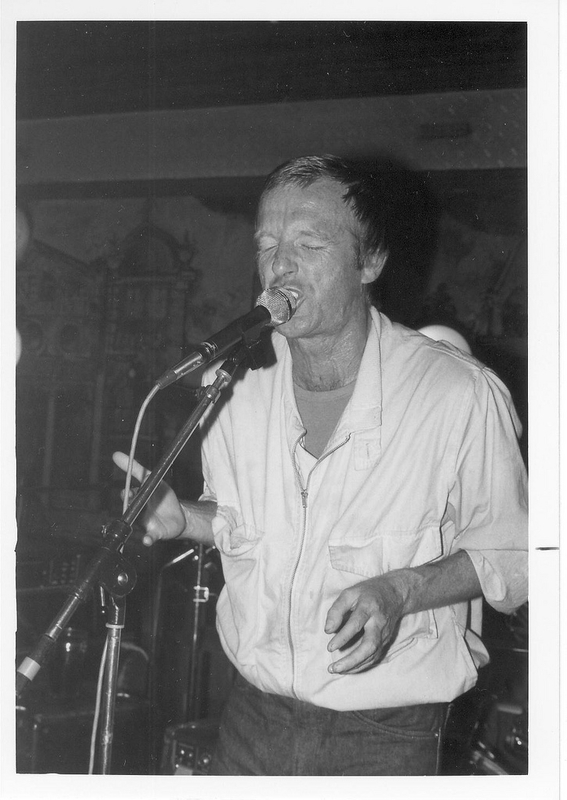 John Turner and Rubber Johnny at the Royal Albert c1982. ©Steve Golton. In 1980 Squeeze released ‘Argybargy’, the last album with Jools Holland on keyboards. I was at the time what you’d call a rock photographer and photographed Squeeze several times. 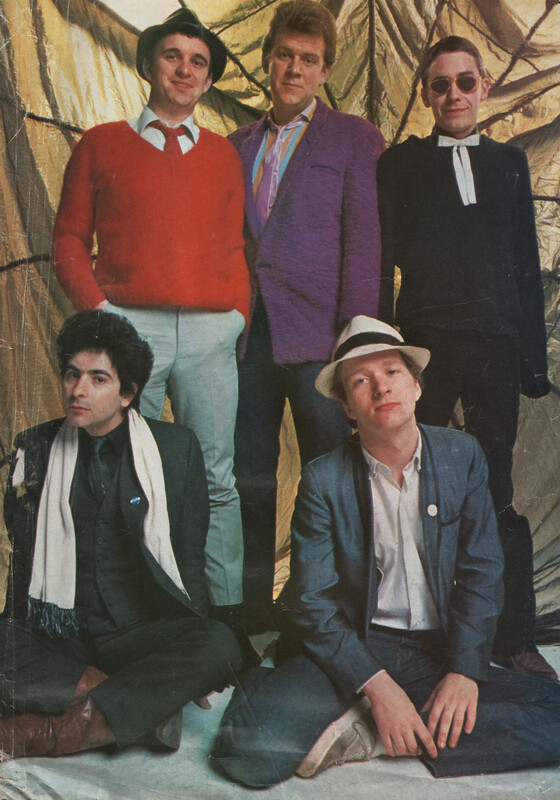 Squeeze photographed in 1980 by David Porter. This picture was taken in 1980 in an old pea warehouse under the Floral Hall in Covent Garden which had been converted into a cavernous underground studio, I’ve still got the parachute. 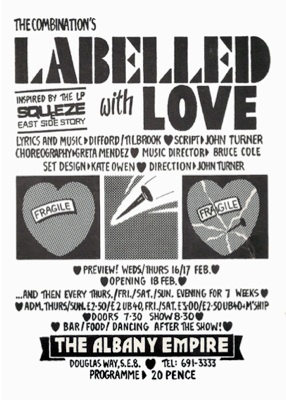 In 1982 John Turner adapted Squeeze’s ‘East Side Story’ into a stage production for the Albany and called it ‘Labelled With Love.’ We were there when it opened, along with Tim Rice who was probably picking up a few tips on musical theatre. The play was set in a smoky Deptford boozer threatened with conversion into a disco cocktail bar, the fictional ‘Nail in the Heart’. “It’s happening everywhere,” sighed Eric the pub landlord, “Bermondsey has fallen, Peckhams on the way, and Lewisham is sure to follow...” We all murmured agreement, and after the show trooped round to The Duke on Creek Road, transformed for the show’s run into The Nail, complete with pub sign of a heart pierced by a nail, the landlord of The Duke was called Erich. The opening track of ‘East Side Story’ is ‘In Quintessence’, one of those tunes you can’t get out of your head. A song about a 15 year old boy’s fantasy about a girl that he never sees, while he smokes himself into oblivion in his messy bedroom listening to his transistor radio. The ‘in quintessence’ hook is the bit I can never get out of my head. I didn’t know what quintessence meant at the time, I assumed it was a made up word something to do with quinces. Now I’ve found out one possible meaning is the fifth element! 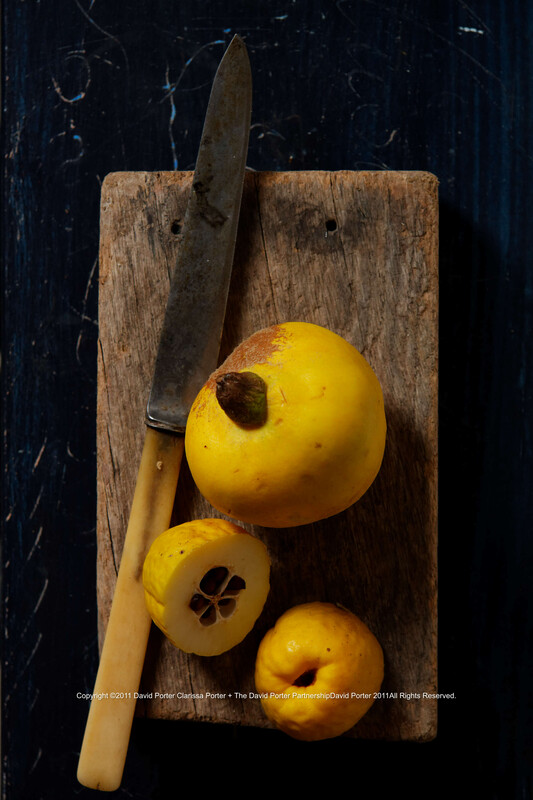 The Greeks and Roman believed the quince was the golden apple, Aphrodite’s fruit of love. I’ve been given some quinces, from a tree on an allotment in Catford, and some from my friend in Lee with the greengage tree. Turkish shops are selling quinces now, at about £2 per kilo; their quinces are bigger than my home-grown variety but they all have the most subtle but unique perfume. You could just buy a bowlful and leave them to scent the room. 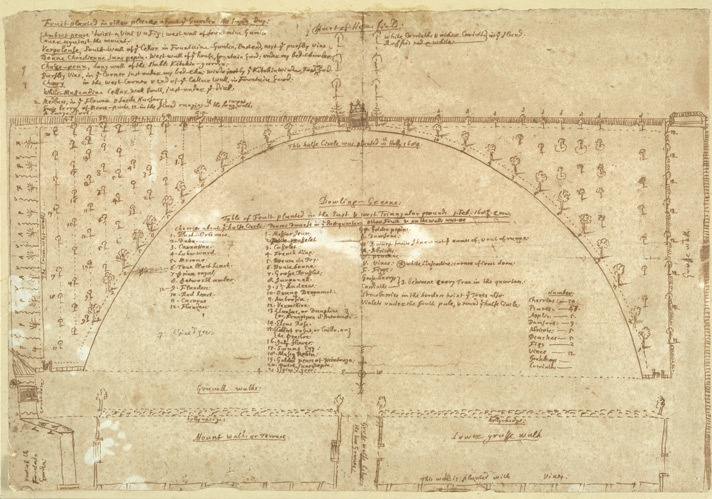 Plan of Sayes Court Garden in the 1650s. The British Library. 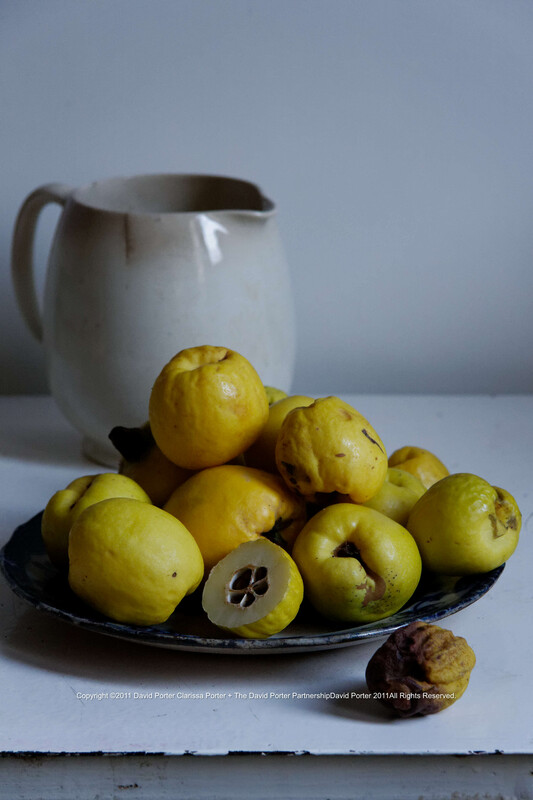 The quince is one of England’s forgotten fruit. We can be certain John Evelyn would have had quince trees among his 300 fruit trees in the orchard at Sayes Court, along with the similarly forgotten medlars, mulberries and vines, lemons, apricots and pomegranates. Thanks to London’s Lost Garden I know that he listed a ‘Portugal Quince’ in his 1687 Directions for the Gardiner. Quince trees in England were first recorded at the Tower of London in 1275, possibly they were here before 1275 but Evelyn’s Portugal Quince was introduced in 1611 by John Tradescant who was working as head gardener for Robert Cecil at Hatfield House. Either peel entirely, or as I did peel strips from each quince. Hollow out the centre of each fruit, without piercing all the way through. I used an apple-corer but this is more difficult than it might appear, quinces are very hard! Squeeze lemon juice over the peeled exterior and the hollowed-out cores. Butter a small-ish roasting tin and stand the quinces in the dish. If necessary cut them a flatter bottom so they stand up. Then mix together the sugar, butter, and cream, till the mixture is smooth and creamy. 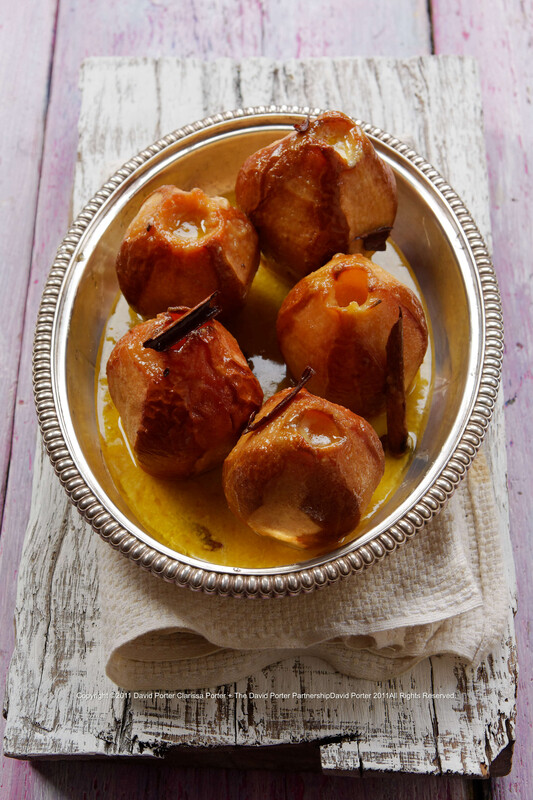 Fill the hollowed cores with this mixture, finishing with a tablespoon of sugar sprinkled over the top of each fruit. Scatter some shards of cinnamon stick around the dish. Put in your oven preheated to 200C and bake for about 25 minutes, then pour in the wine. Carry on baking till the quince is tender. I tested for this with a slim skewer pushed through the side of a quince, avoiding the hard centre. If you’ve any of the creamy mixture left now is the time to top up the middles of your quinces. They took about 90 minutes altogether, you could reduce the heat to 180C and cook them for longer depending how soft you like your puddings I served them after transferring them to a heated dish and pouring some of the liquid around the quince, and have some cream ready to pour over them at the last minute. This entry was posted on Tuesday, October 25th, 2011 at 21:44	and tagged with baked quince, Deptford, England, fruit, John Evelyn, pudding, recipe, rock music and posted in England, Fruit, Recipe. You can follow any responses to this entry through the RSS 2.0 feed. 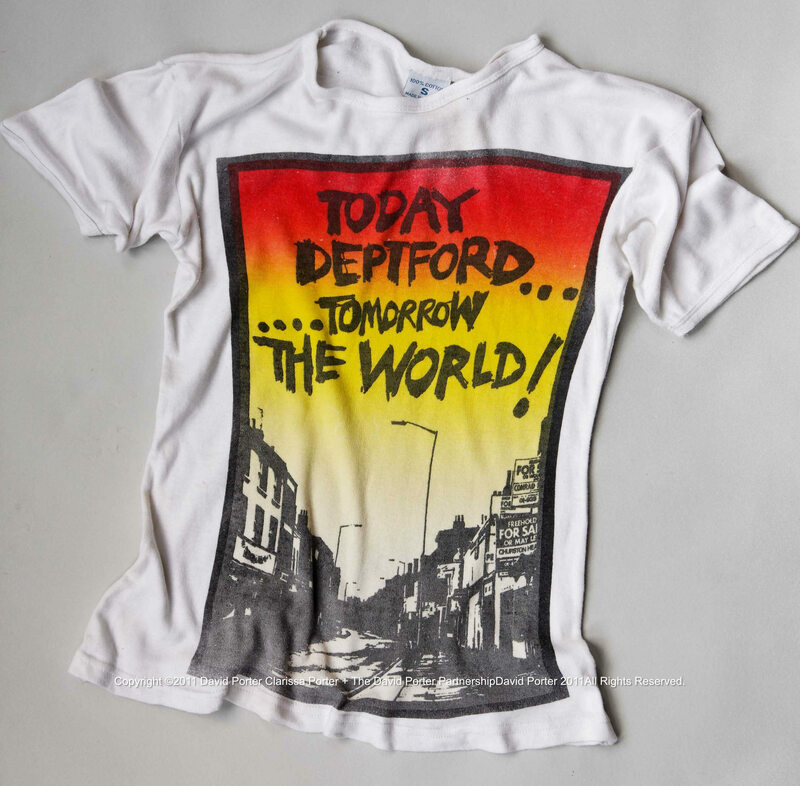 What a fabulous, rambling tale of many aspects of our beloved Deptford! Have only eaten quince as jelly (and a bizarre concoction we dubbed quince jamalade, I think it was a jam made of quinces and oranges, not entirely successful) but the baked quince look fantastic. Can they be bought near Deptford or do we have to travel to the Turkish shop the other side of Lewisham town centre for these? I admit I haven’t looked for them in Deptford because I knew I’d get them at TFC or the Lewisham Food Centre in Lewisham High Street. They sell sheets of quince paste as well, which can be added to apple pies or pear tarts for added flavour. There weren’t any in Lewisham Market. You’ll most likely find them in a Greek or Turkish store. Glad you like the story! Another great story and recipe – and loving the T-shirt! I did have one, but stupidly lent it to someone, can’t remember who. I think there’s a bookshop in Crystal Palace that should have it, it’s listed on Mel’s website. Or try contacting Mel, he’s local (did live in Brockley) and very friendly! I met him once he helped me with a location for a shoot, a school in Plumstead I think, and he may have modelled for me a long time ago. and I’d be surprised if he hasn’t still got some copies of his wonderful book tucked away somewhere. Oh and I did see somebody selling quinces grown in their garden last weekend – unfortunately for local shoppers it was out in Essex on Mersea Island. You went to the Company Shed?! I can vouch for the soil in Deptford being perfect for quince. A handsome crop was achieved in the garden this year. Yes to the Shed several times, it’s worth the detour if you’re in the area. It is unique, in this country anyway. Despite being an avid forager I’ve never seen a quince in real life. Damnit! I know what you mean, the first quince I saw I dismissed as a furry pear! Most of the quince around here look exactly like green apples before they ripen so they tend to be ignored.